David Bomberg was born in Birmingham in 1890. He trained as a lithographer before studying painting in London at the Westminster School of Art (1908-10) and the Slade School of Art (1911-13). In 1913 he travelled to France where he met Modigliani and Picasso. Over the next few years his paintings combine abstract and Vorticist influences. 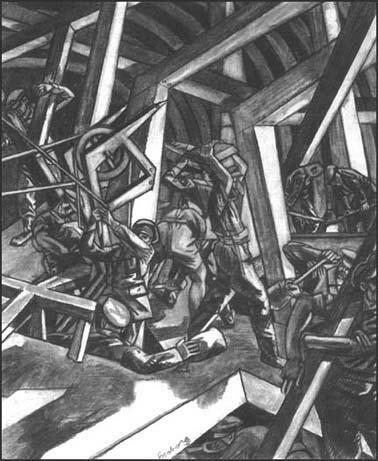 In 1917 the Canadian authorities commissioned Bomberg to paint a picture to celebrate an operation in which sappers successfully blew up a salient of the German defences at Saint-Eloi near Arras. 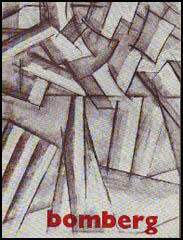 His painting, Sappers at Work was rejected by the Canadian committee who criticised Bomberg's Futurism. Bomberg included himself in second version of the painting carrying a heavy beam on his shoulder, to illustrate the burden of working to order. After the First World War Bomberg travelled widely, visiting Palestine (1923-27), Spain (1934-35), Morocco (1930), Greece (1930) and Russia (1933). 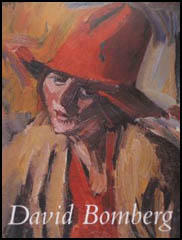 David Bomberg died in 1957.